경북 안동시 평화동에 있는 3층 석탑으로, 탑이 주변에 민가가 들어서 있어 절터의 흔적은 찾을 수 없으며, 절이름 또한 알 길이 없다. 탑신(塔身)을 받치고 있는 기단(基壇)을 위·아래 2단으로 꾸민 3층 석탑의 모습으로, 주목할 점은 아래층 기단에 아름다운 안상(眼象)이 새겨져 있다는 것이다. 윗층 기단은 윗면에서 상당한 경사를 보이고 각 모서리도 약간 위로 치켜 올려진 전혀 새로운 형식을 갖추었는데, 그 모습이 마치 지붕돌로 보일 정도이다. 탑신은 몸돌과 지붕돌이 각각 하나의 돌로 되어 있고, 지붕돌은 처마밑이 직선이며, 풍경을 달았던 작은 구멍들이 남아 있다. 탑의 꼭대기에는 머리장식으로 네모난 노반(露盤:머리장식받침)과 복발(覆鉢:엎어놓은 그릇모양의 장식)만이 남아 있다. 이 탑은 지붕돌이 넓어 매우 안정된 모습을 보이며, 전반적으로 그 비례감이 아름답다. 탑이 세워진 시기는 통일신라 중기 이후로 보인다. 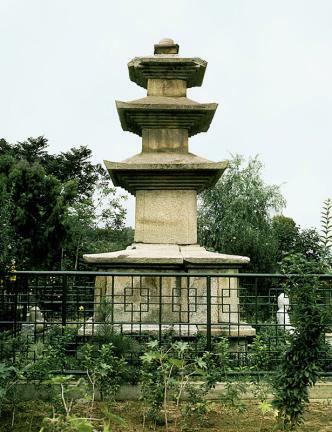 This three-story stone pagoda is located in Pyeonghwa-dong, Andong, Gyeongsangbuk-do. It is hard to look up the temple site where this pagoda was erected since many private houses have now been built around here; ditto for finding out the name of the temple. This is a typical three-story stone pagoda on a double-tier stylobate, without any significant decoration except for the beautiful "panel design" at the lower part of the stylobate. 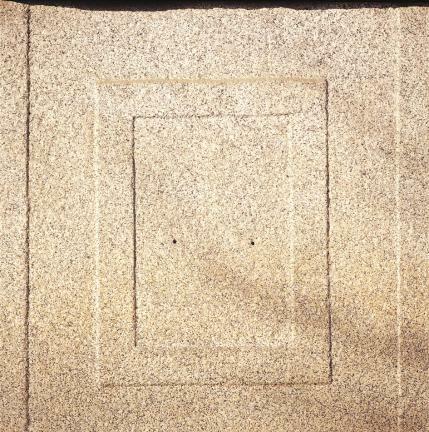 Since the upper part shows an unusual sharp slope, and its corners are gently upturned, it looks more like a roof stone than the stylobate. Each of the core stone and roof piece is made from a single block of stone. The eaves are straight; at the corners are holes that were used to hang wind-bells. 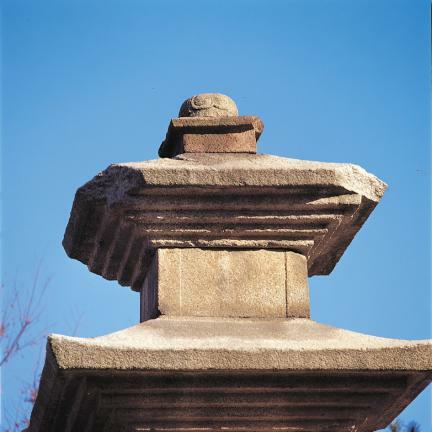 The finial has a square base and a hemispheric Bokbal (over-turned bowl), the lowest parts of the pagoda's roof ornament. The roofs are larger than usual, making the pagoda well-balanced. The pagoda is believed to have been built after the mid-Unified Silla period.